On Thursday 28 June 2012 we’re inviting a small panel of designers and writers to present their ‘Desert Island Discs’ selection of items from the vast archive of design, typography and printing history at St Bride Library, near Fleet Street in London. Tickets are £6 via Eventbrite. Paul Barnes (below, far left), Sara De Bondt, Violetta Boxill, Simon Esterson, Alan Powers and Mark Thomson have each chosen items to show and talk about in front a small audience for this informal session. 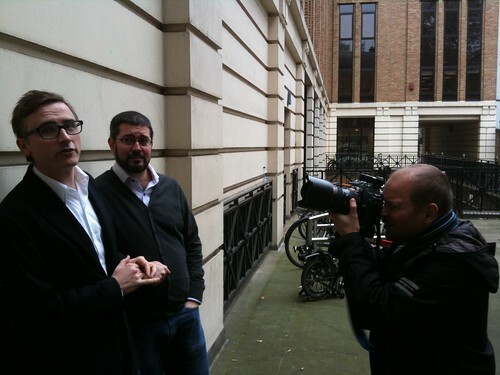 Above: celebrity type designers Paul Barnes and Christian Schwartz (of Commercial Type) fend off paparazzi at the entrance to St Bride Library. 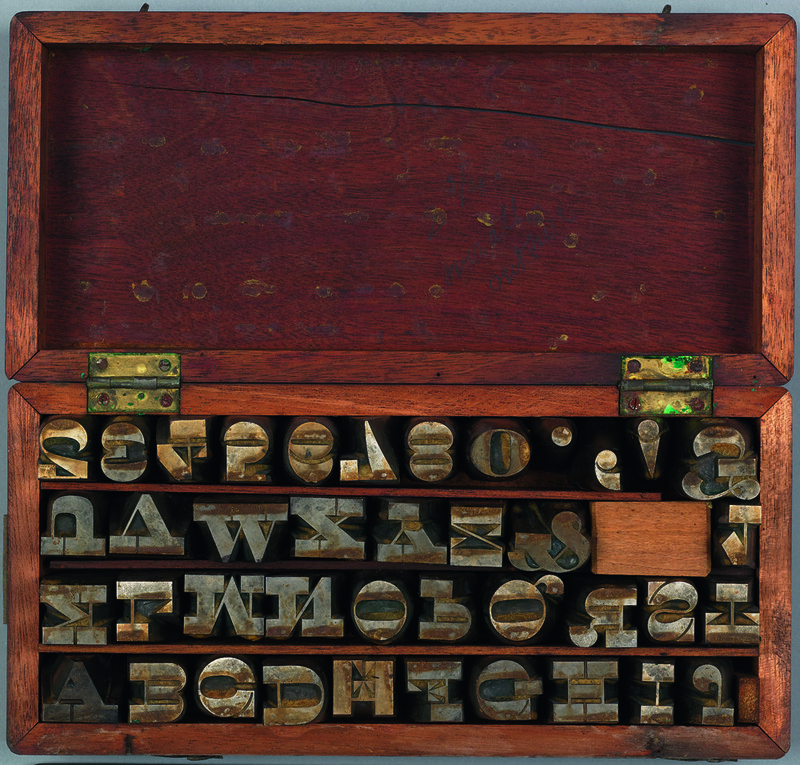 Top: A box of punches for the Five Line Pica font of Caslon’s Italian. See ‘Deep in the archives’, Eye 75. 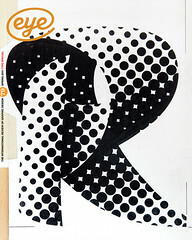 The fine crack in the bowl of the ‘R’ (below), made when the punch struck the matrix, can also be seen in an 1842 Caslon specimen. From the collection of St Bride Printing Library. Photograph: John Bodkin. ‘Out of the Box’ will also feature an Eye magazine stall with a selection of bargain back issues (please Tweet your special requests) and a bar, and there will be plenty of opportunities for discussion and digression, and for everyone to explore this fascinating place. This is the second ‘Eye curates’ session: our previous event at the V&A (with Nick Bell, Mason Wells and David Pearson) sold out quickly, so we recommend that you book asap on Eventbrite. • 50,000 books: All the classic works on printing technique, visual style, typography, graphic design, calligraphy and more. 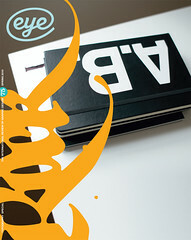 • 3500 periodicals, catalogues and directories: from typographic journals such as the Fleuron and Emigre to magazines such as Motif and Eye – also specimen books and catalogues. 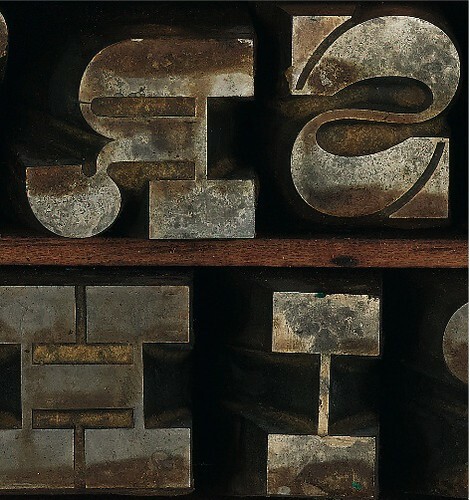 • A matchless record of artefacts that bring the history of print culture to life: Type is one of the highlights, with punches, matrices and founders’ type from the seventeenth to the twentieth century. Plus wood blocks, copper plate and lithographic stones to exemplify the various techniques used to reproduce images, and business records, correspondence and collections of designers’ materials: layouts, briefings and copy. • A stimulating events programme: put together and delivered by people who are passionate about typography, graphic design and print. 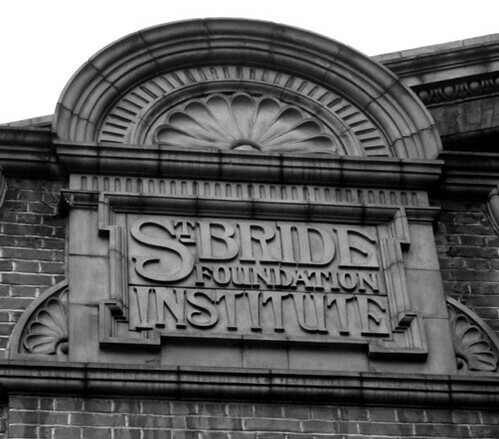 More about St Bride and its history Robin Kinross’s article ‘Temple of type’ in Eye 2.